Quite often it’s handy when you’ve set the visibility of a number of entities to be able to quickly reverse the display of the entities that are shown and hidden without necessarily changing the display setup. 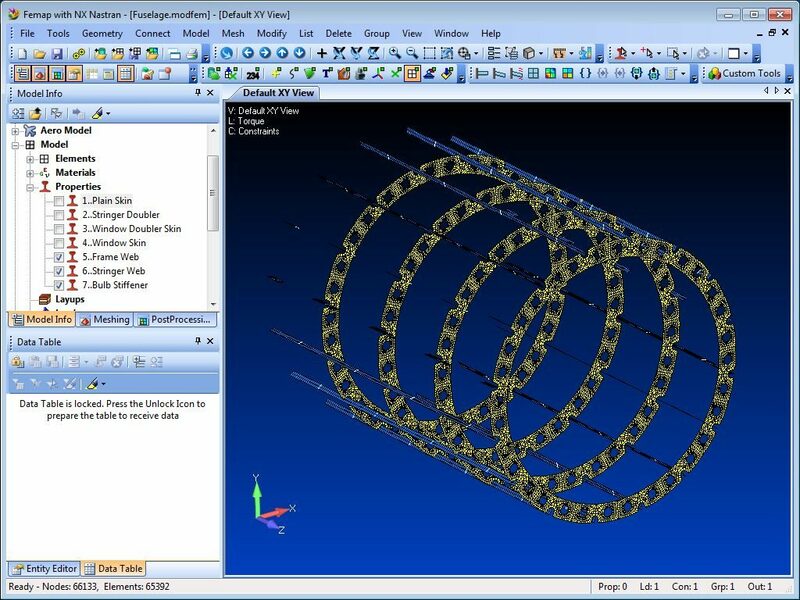 In Femap you can reverse the displayed and hidden entities in a single mouse click, and then switch them back again. In a model that contains various properties, you can opt to show some properties and hide others. 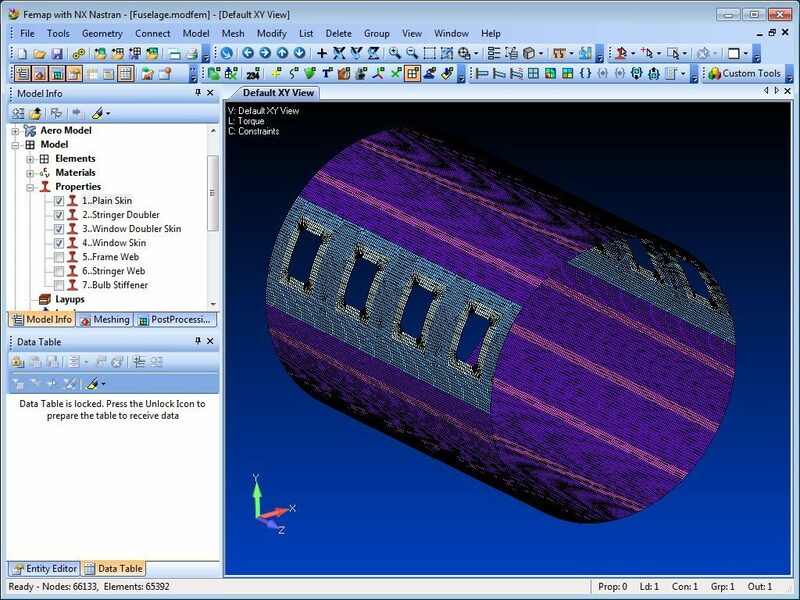 For example in the fuselage model below, some properties have been selected in the Model Info tree. 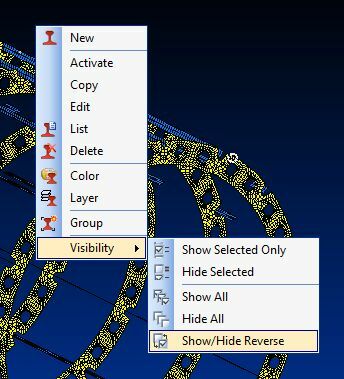 Select the View Visibility icon and in the Geometry, Coord Sys, Material and Property tabs you’ll see a Reverse button in the dialog box. Clicking the Reverse button will reverse the entities that are hidden and displayed. 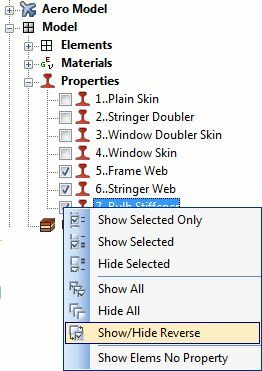 In the Model Info tree you can right click in the visibility checkbox area to get the context-sensitive sub-menu with a Show/Hide Reverse option. 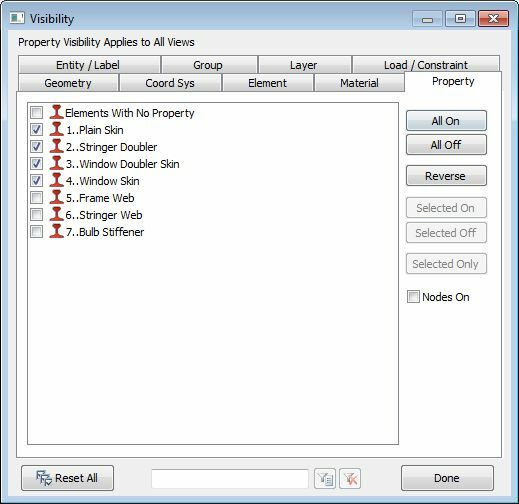 Also, with the Entity Selector activated, for Properties in this example, you can right click in the graphics area to activate the context-sensitive Visibility sub-menu. So in Femap it’s very easy to toggle displayed and hidden entities without affecting the display setup.